Fiat S.p.A. will build two new minivans in Serbia instead of Italy, CEO Sergio Marchionne said. Fiat could also produce in other countries four other models originally planned for Italian production including Alfa Romeo and Chrysler group cars. Fiat said in December that it would build the replacements for the Idea and Multipla minivans in the company's Mirafiori plant in Turin, Italy. On Wednesday, Marchionne said Fiat has reversed this decision after the company failed to win sufficient concessions from workers to assure the “governability” of its Pomigliano d'Arco plant, near Naples. Speaking to analysts on a conference call, Marchionne said it would be unwise to confirm new investment in Italy “given the uncertainty" of a labor agreement to boost productivity at Pomigliano. Fiat now plans to invest 1 billion euros to install 190,000 units of annual capacity at its plant in Kragujevac, Serbia, to build the new minivans, code-named LO. The automaker aims to begin production of the models in late 2011 or in early 2012. Fiat could also cancel plans to build the Alfa Romeo Giulia mid-sized car, which will replace the 159, and the Chrysler Sebring successor at Mirafiori. The company could also drop plans to produce a new compact sedan for either Chrysler or Dodge in Cassino, central Italy. Marchionne said Fiat still plans to increase passenger car production in Italy to 1.15 million units a year in 2014 from 650,000 units in 2009, but he said no new investment will be approved until the company has a water-tight productivity deal at Pomigliano. He said the carmaker will transfer production of the Panda minicar to Pomigliano from Tychy, Poland, even though the company did not win the overwhelming majority it wanted from Pomigliano workers for a new labor agreement. 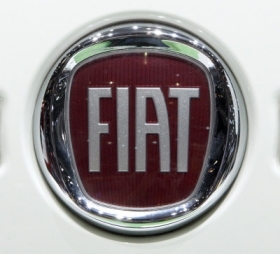 Fiat is upset that 37 percent of the factory's workers voted against new working practices in a referendum last month.